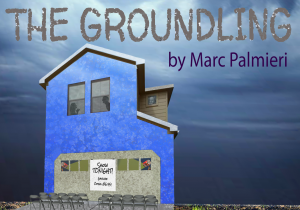 The Louisiana Tech University Department of Theatre has announced its seven-member cast for its production of The Groundling — a profound look at Shakespearean romance in the confines of a garage — written by Marc Palmieri and directed by Professor Kristen Blossom. In Bob’s garage, two theatre professionals work to stage a love story between two young romantics. Laced with lessons about love and loss, Bob’s retelling of his youth shows how theatre truly is a reflection of life, even if the mirror happens to be cracked. The Groundling stages in Arthur W. Stone Theatre, located in the University’s Howard Center for the Performing Arts, at 7:30 p.m. Oct. 23-27 and at 2 p.m. Oct. 28. The Groundlingis a comedy exploring the meaning of the final moments of Shakespeare’s Love’s Labour’s Lost, and how the power of theatre can affect the most unsuspecting, and perhaps most deserving, of us all. For more information on the Louisiana Tech Department of Theatre, visit latechuniversitytheatre.com, facebook.com/latechtheatre, Twitter and Instagram at @LaTechTheatre.